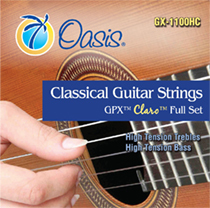 If you are looking for a little less 1st string brightness and a bit more warmth, we are introducing a new set of GPX™ classical guitar strings called the Claro™. We have replaced our current 1st string with a new Claro™ first string which is warm, rich and powerful. All other strings in the GPX™ sets remain the same. While the sonic blend is now sweetened, the new treble set remains nicely balance. 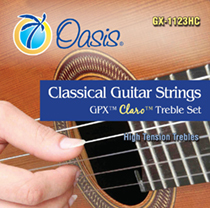 GPX™ Claro™ are available in treble sets and full sets (high tension).